Got an event and want something other than our beloved Nasi Lemak as the main dish? We understand, as much as we love our Asian food, it’s always nice to venture West for some delectable meal options. 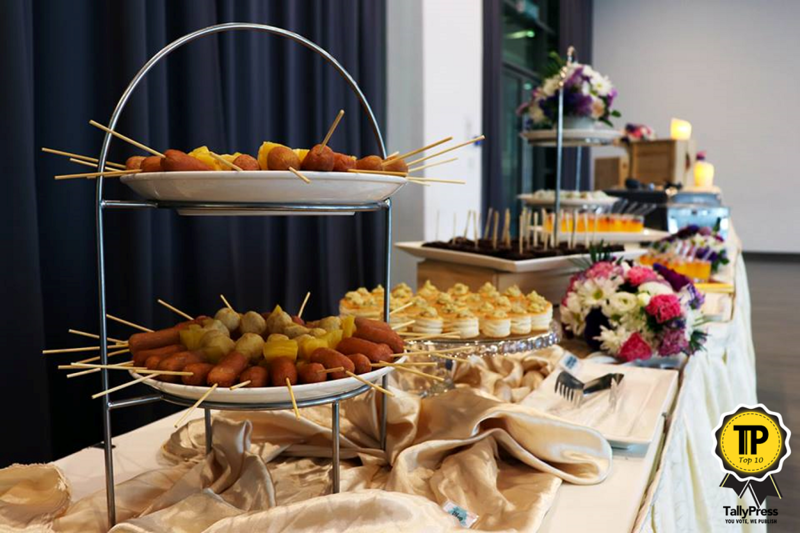 Here are the Top 10 Western Food Catering Services in KL & Selangor. Joshijosh is known especially for their cake selections, which are certainly lovely to look at. That’s not all though, as they also have a range of Western cuisine dishes that can be made to order for catering purposes. Besides this they also have some local dishes too, so you could order a mix to satisfy everyone’s taste buds. Chef Teddy has been involved in the food business for years, giving him a slight edge over the competition. His experience includes working at 5-star hotels, so you can imagine how delicious his food will be. Besides this, he’s also been recognized by the Malaysian Chef Association for his culinary offerings. His BBQ Catering menu features freshly marinated food that is grilled on-site at your venue. 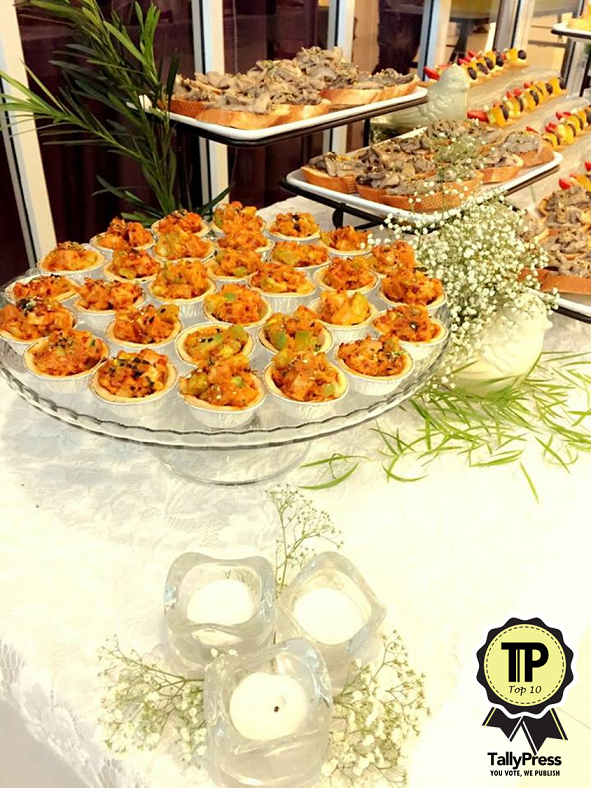 This catering company specializes specifically in canapes, tapas and petit fours, meaning if you want little bite sized treats for your party, call them! Expect items such as Quiche Lorraine, Financiers, and little sandwiches even. Their items are aesthetically pleasing too, perfect for your next Instagram shot. They believe that “good food brings people together”, and so quality is never compromised here. 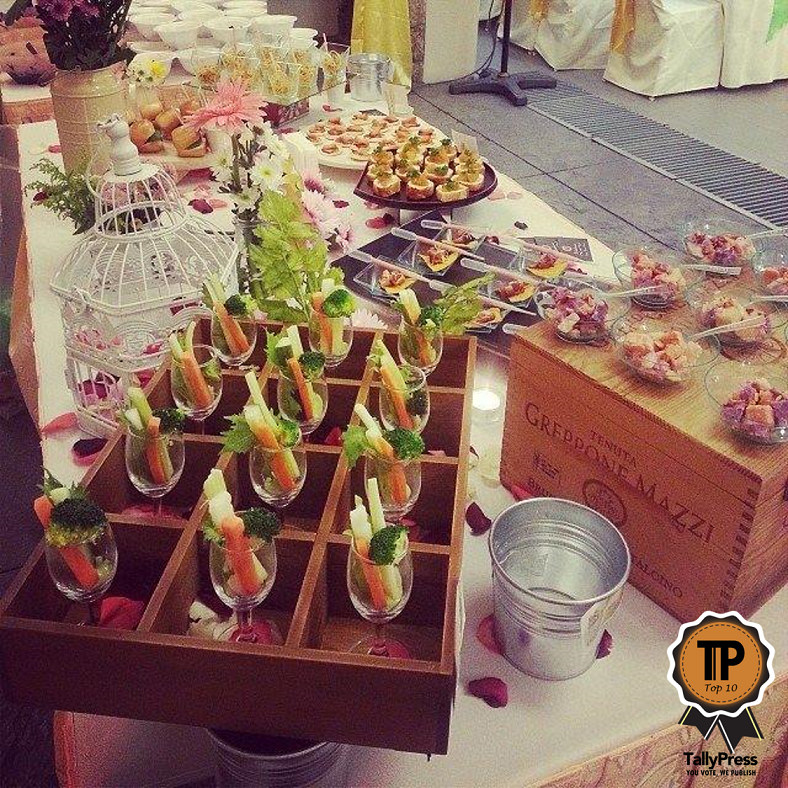 The Perfect Match specializes not only in Western buffet but also canapes and finger food. 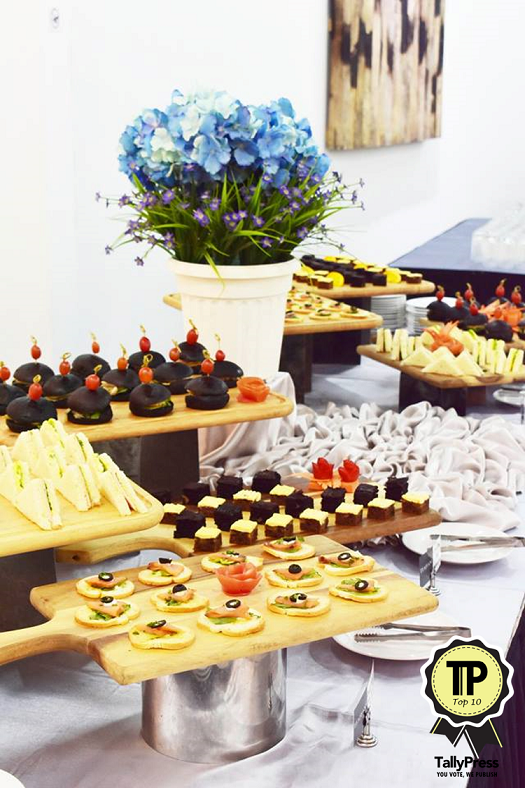 They are able to provide catering for weddings, social events, private parties and corporate entertaining. You can also customize menus at a reasonable cost, or opt to go with one of their sample menus. Teaffani started out in 2011, then as a home-based business. Since then, they have grown exponentially and now have a workforce of 50 full time staff, and a 12,000 square feet space to provide the best catering to customers. Their team is able to handle at least 15 events a day, and they have even catered for an event with 1500 guests. Do check out their extensive menu options on their website. Delicious food doesn’t have to cost a bomb, which is exactly what Wahsu Catering believes. They promise “yummylicious food at reasonable prices”, which is already a step in the right direction. From festive menus to simple finger foods, they can do it all. 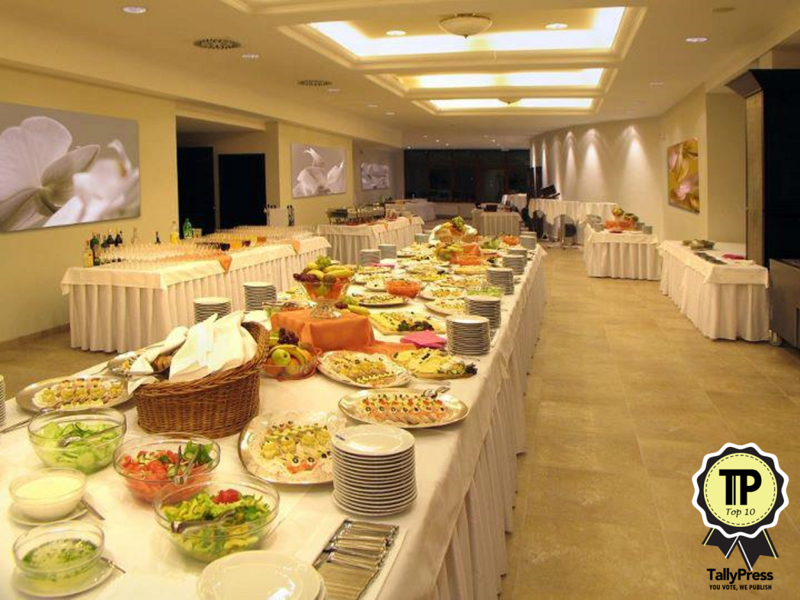 Get in touch with them to figure out the perfect menu for your event. For a fresh approach to catering, get in touch with Aubergine. The team is proud to provide clients with contemporary menus that are unique. They are passionate about events, no matter what kind it is. Up for any challenge, they have provided meals in tricky locations and in a variety of styles. Whether you want bite-sized creations or hefty meals, they can make it happen. 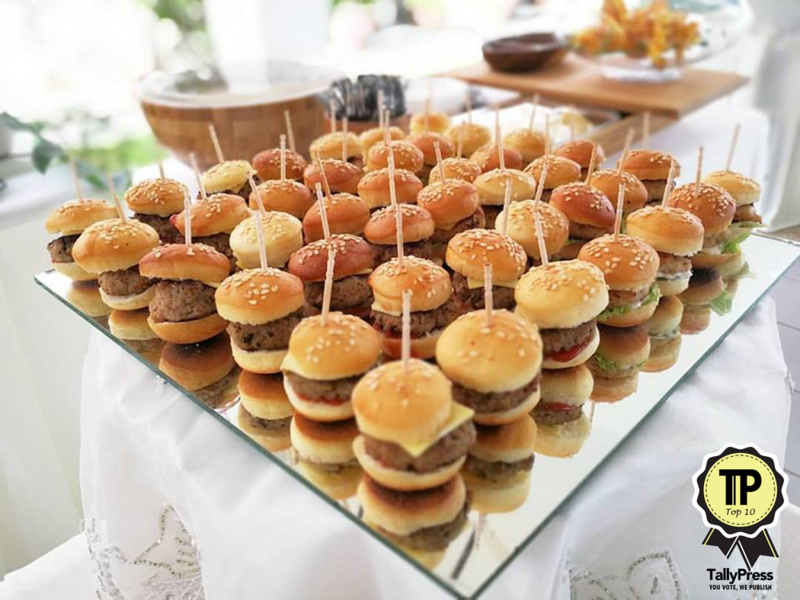 The burger craze is not dying down anytime soon, and that means even at events you cannot go wrong with a burger. Better yet, a mini burger! 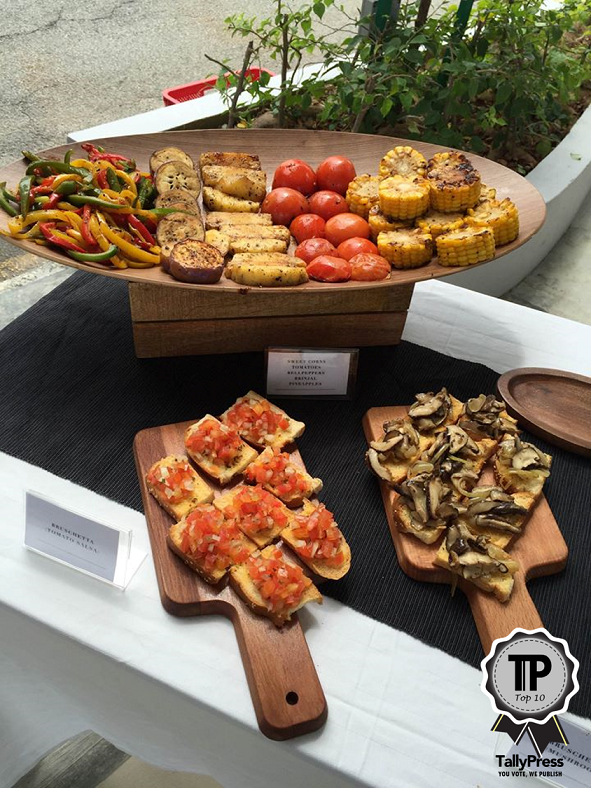 It’s the perfect finger food, and can be served at barbeques, events, parties and picnics. But that’s not all, they have a great selection of food options available for you, like nuggets, lasagne, and chicken wings. 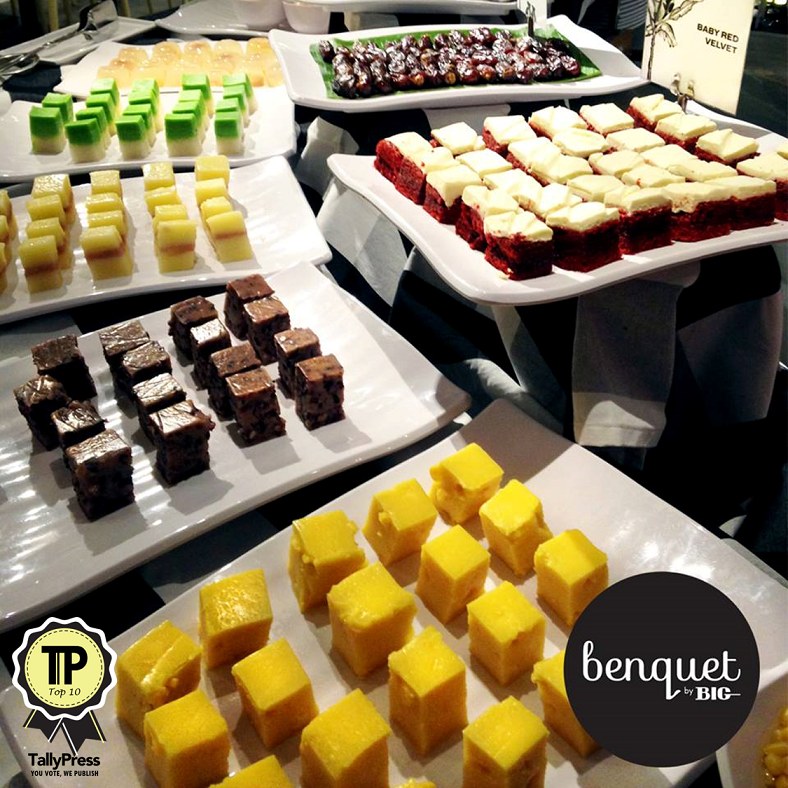 The BIG Group has their very own boutique catering service, called Benquet. 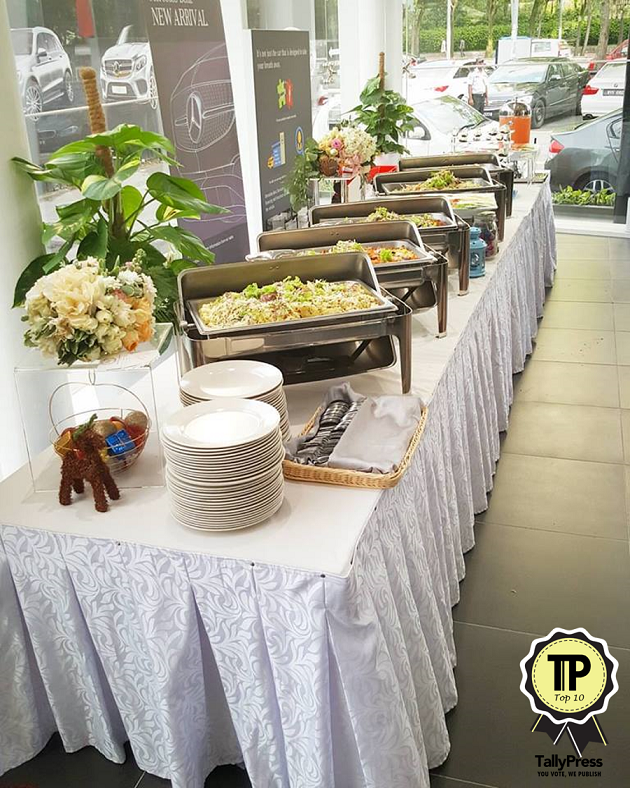 They are ready to make your event the best one, whether it’s for two or two hundred. 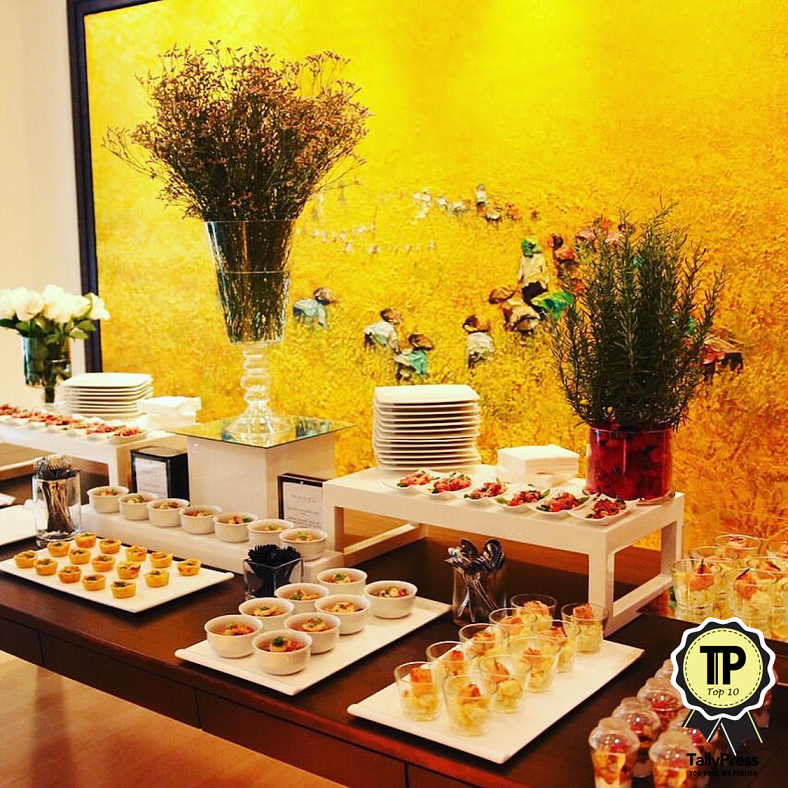 Their team can provide exquisite canapes and western cuisine, and even barbeque grills. Leave everything in their hands, and you won’t be disappointed. Fancy a seafood paella for your next event? It’s not too far-fetched a requested for Elite Catering. Moreover, they also have dishes like grilled, fried, and roasted meats. No meal is too much of a challenge, as you can order brunch, lunch, meals for kids, baked goods and even soups and salads from them. 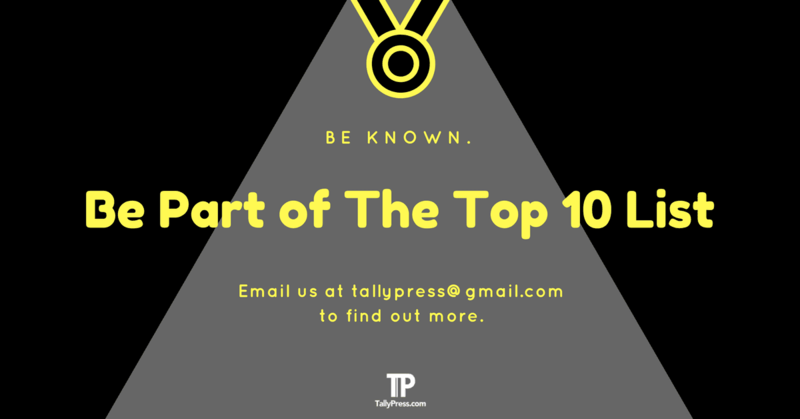 The compilation of this list was made from accumulation of Public Votes on TallyPress.com. Previous articleHerbs ‘N’ Food, The Neighbourhood Mart That Serves Wine!